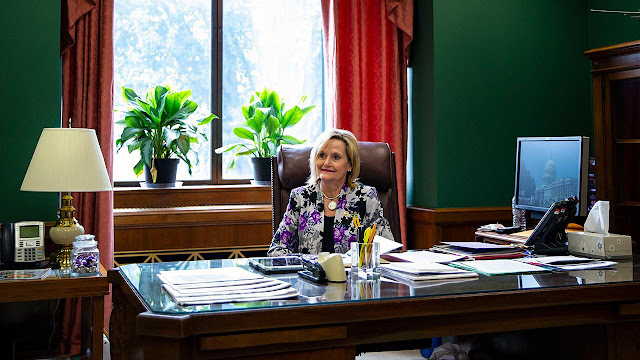 GOP Sen. Cindy Hyde-Smith is once again under fire for a race-related issue, after the Jackson Free Press in Mississippi reported Friday that she graduated from a high school segregation academy. The newspaper published a photograph from the 1975 edition of the Lawrence County Academy yearbook that allegedly shows Hyde-Smith with a group of cheerleaders and a mascot with a Confederate flag. The caption identifies a sophomore student as Cindy Hyde. The Lawrence County Academy in Monticello, Mississippi, was one of the high schools established in the South for “white students whose parents were not keen on their children sharing classrooms with black children,” the report states. In 1969, the Supreme Court ordered that all schools be immediately desegregated. Lawrence County Academy opened one year after the order, in 1970, according to the Jackson Free Press. Hyde-Smith reportedly graduated from the school in 1977. She later enrolled her daughter at Brookhaven Academy, another Mississippi segregation school that was founded in 1970, according to the publication. Gov. Phil Bryant appointed Hyde-Smith to fill retiring Republican Sen. Thad Cochran’s seat. She faces Democrat Mike Espy in a runoff election to determine who will serve the remainder of the term, which expires in January 2021. Espy, if elected, would become the first African-American to represent Mississippi in the Senate since Reconstruction. He had served as a cabinet secretary for former President Bill Clinton. The runoff election takes place Nov. 27.